With in-depth domain knowledge combined with the latest technology framework, we address specific business challenges in designing tailor-made solutions for the Insurance sector. Our expertise in the Insurance sector helps our clients develop and manage applications that enable them to differentiate their businesses and give them a swift ROI. Our solutions help Insurance companies eliminate the need for extensive paperwork by automating processes and customizing their offerings rapidly to meet consumer and agent preferences, thereby bringing in measurable business benefits. We have worked with Insurance companies in several lines of Insurance including Property & Casualty, Specialty, Life and Healthcare. 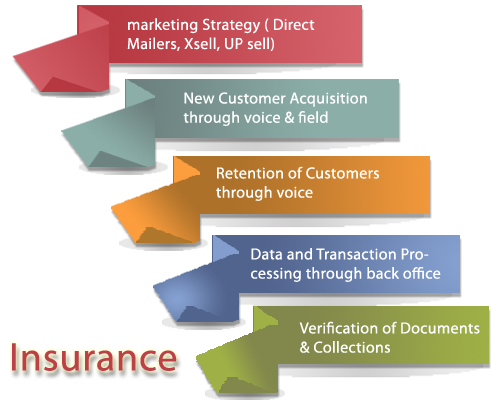 Our experience in working with the Agency and Channel Management systems, Underwriting systems and Premium and Claims processing systems uniquely positions us to deliver state-of-the-art automated systems geared for the dynamic business environment of the insurance market.